I would first off like to thank the OFAH for mailing me a copy of their comments for the white moose - public consultation. Regarding the manner of the consultation, I've always been a firm believer that an accessible public debate will lead closest to the truth of an issue. A closed public consultation with no way to determine what has been said will lead to biased results in that those involved will have no way of addressing comments by others. As such, I would prefer the debate in an internet discussion forum so that issues may be fully explored as they appear. Hopefully the OFAH and the MNR can agree to this and we can work towards this end for future consultations on various issues. Regarding the OFAH's public comment, I submit that the OFAH has misinterpreted the effect of the proposed regulation. In fact, the regulation will "promote the conservation of fish and wildlife". The regulation is intended to ensure the long term survival of a strain of moose found in the Foleyet area, and as such the regulation goes to the heart of the authority under the F.W.C.A. The OFAH have implied that the purpose of the proposed regulation is to promote eco-tourism employment opportunities. However, under closer examination, the Ministry of Natural Resources simply recognizes that this positive employment opportunity may be a by-product of the regulation if locals work towards this end. Put into another light, couldn't the creation of eco-tourism employment opportunities be seen as a tool used to "promote the conservation of fish and wildlife". It is not rocket science to realize that those communities which will demand the most from the natural resources are those with the least amount of economic opportunity per person. As such, creation of eco-tourism employment opportunities is a perfectly valid tool which can and should be used to accomplish the purpose of the F.W.C.A. The regulation is necessary due to the extremely limited amount of animals in the region (and the world) displaying this unique trait. The OFAH factually asserts that "hunting has not caused a decline in these novel animals, even though native and nonnative hunters have been hunting moose in the Foleyet area for many generations." This statement would be factual if every white moose shot by hunters (such as the white bull on the Ivanhoe River in 2001) in the region would never again have breed and produced offspring carrying the gene. Without mandatory reporting to determine how many white moose have been harvested by hunters in the Foleyet region over the last 50 years, it is impossible to get an approximate number. However, internet discussions and discussions with locals indicate that multiple white moose have been harvested from the region. Furthermore, with the recent media attention on the animals, many trophy hunters have indicated a strong desire to target these unique animals, further showing the need for protection measures. The OFAH factually asserts that "These animals are not a distinct population, not a distinct subspecies, nor even a distinct race from the eastern moose". However, biologists from the Chapleau MNR indicate that the Ministry has never done any genetic testing on the white moose found in the Foleyet area. It should be noted that it is possible for 2 different species of animals to successfully breed such as a mallard and a black duck. Scientists are continually discovering new species of animals around the world. Without any genetic testing, it is impossible to state as a fact that the white moose in the Foleyet region are not a separate species. Reports from locals that come into the most contact with the animals indicate that this strain is noticeably larger and more aggressive than the regular brown moose in the area. It may be wise to seriously study the animals to determine their species classification before making statements, which are held out to be factual. Does the OFAH have any scientific data to verify their the validity of their claims regarding species classification? The OFAH indicate that the "gene pool from which the white moose come include all moose there -- white or piebald phenotypes" after indicating that a total of 4,500 moose live in W.M.U. 's 30 & 31. I ask, why does the range of the gene pool for these animals stop at the lines men have created on maps. I also ask if the OFAH can scientifically determine exactly when this particular genetic alteration occurred, which would be helpful to determine how many moose may actually carry the gene. This particular strain is believed to have started approximately 50 years ago on Groundhog lake with a corresponding sighting of a white cow. The animal held great spiritual significance to the aboriginals living in the area, and it was protected by them. Since this time, the number of offspring / direct lineage from this cow have varied to an estimated 20 white moose and recently fallen to approximately 6 white moose as a result of multiple factors. While its true that all lineage (brown or white) could potentially be carriers of the genetic alteration, only once in the past 50 years has a white calf been spotted with a brown cow. With so few white moose left, and so many eager hunters ready to take aim, now is the time to implement protection measures. The conservation measures should not be permanent but merely until the strain has firmly established itself. Once the strain is firmly established, a season should be designed specifically for white moose. The season should be designed with a focus on long term sustainability of the strain, and tags should be allocated specifically for moose which are more than 50% white. 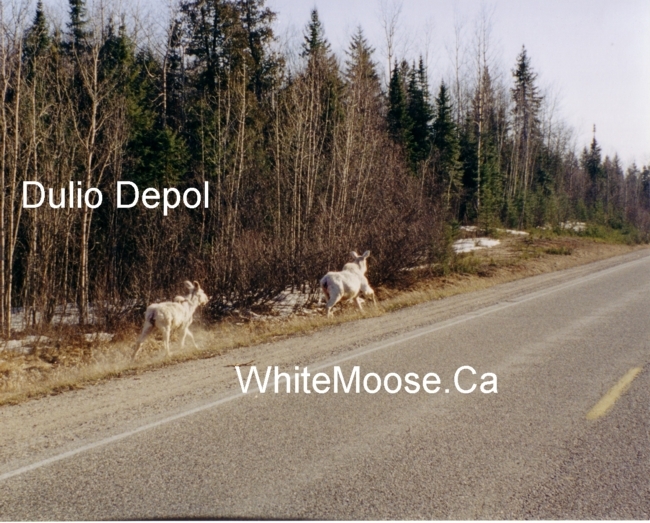 The OFAH indicates that protecting white moose would be parallel in nature to protecting "black red foxes; or white gray squirrels; or piebald white-tailed deer; or blond black bears. Conservation is not served by artificially selecting one color type over another." I would inquire whether hunters specifically targeting these unique animals and harvesting them out of proportion to the rest of the herd would not have the identical negative effect complained of by the OFAH. The OFAH indicates that an estimated 8% of the total population of moose in WMU 30 & 31 is planned for harvest in 2005. Examined closer, 8% of 6 white moose is still less than 1 to maintain a balanced / non-artificially selected herd of moose. Furthermore, if an area had an unusually high concentration of blond black bears, what negative effects could occur if they were temporarily protected so that their numbers may grow? I am rather displeased that the OFAH would regard the protection of the white moose in the Foleyet area to be an "anti-hunting" proposal. The majority of the local support base for the regulation is a group of dedicated hunters and anglers. When exactly did the OFAH forget that the first step to increase hunting opportunities is to conserve the resource if it is low. Ontario's hunters would stand to greatly benefit if they were able to harvest white moose in the future. Increasing hunting opportunities for white moose would first require that the amount of white moose increase. However, in order to accomplish this goal, hunters and hunting organizations must first push towards designing a sustainable harvest. With so few animals in the region exhibiting this unique genetic variation, conservation, not harvest, must be the focus at the present time. Regarding the issue of eco-tourism employment opportunities, several locals have expressed a strong desire to guide tourists into the region most populated by the animals. The employment opportunities would be similar to those created by the Kermode (Spirit) Bears of B.C. Locals would be able to bring tourists to highly concentrations white moose areas in hope that the tourists might be able to take a picture or video. 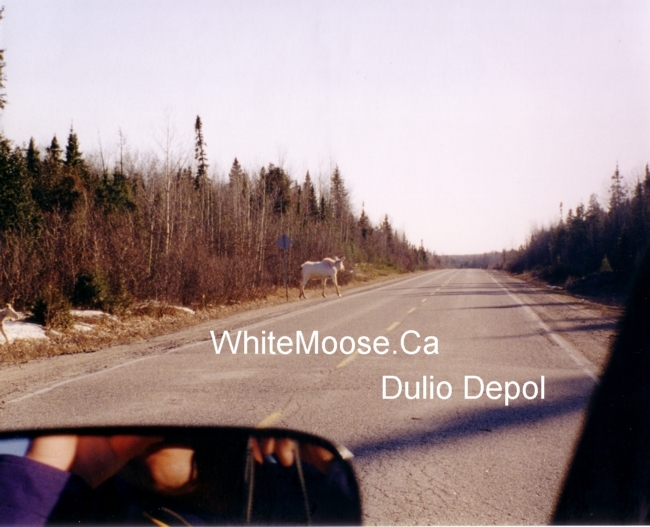 At a recent white moose meeting dated June 22, 2005 (attended by MNR representative Mike Bernier from Chapleau), Laurent Robichaud expressed such a desire and Mike responded that there would be nothing to stop hunters from harvesting the white moose. Without some form of protection for the animals, even Mike agreed that any eco-tourism employment opportunities which could be created by the animals would likely be short lived. Non-local trophy hunters could, under the present regulations (or lack thereof), completely destroy the resource base upon which the eco-tourism employment opportunities depend. Trophy hunters could literally take the tour and then return the next day to kill the main attraction. Those white moose which are apt to provide the most social and economic benefits (eco-tourism employment opportunities) would be the most likely to be harvested by non-local trophy hunters. Prior to the most recent white moose meeting in Foleyet, Bob Johnston requested that the a list of questions be prepared for the MNR and that responses would promptly follow. As such, below are the most pressing questions which the group in attendance of the last meeting would like answered. 1) Does the MNR (or OFAH) believe that the white moose could be used as an economic / eco-tourism attraction without regulations protecting them from hunting? If so how? 2) Would eco-tourism employment opportunities increase from an increase of white moose? 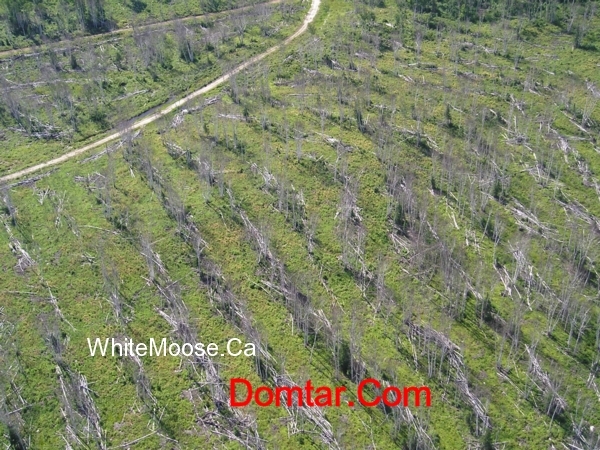 3) What negative effects could occur if the white moose were protected? The OFAH indicate that subjective local community or eco-tourism values should not be a guiding force in natural resource management decisions. However, the OFAH must recognize that the individuals apt to best manage the resource are the locals that depend on it. If community values were accepted as a guiding principle for natural resource management decisions, I doubt the MNR would have cancelled the spring bear hunt nor would regional forests be depleted faster than they are re-grown. The continual cycle is that foreigners (Southern Ontario and now the OFAH) lobby the government to control resources of which they are unfamiliar. The "N.I.M.B.Y. syndrome" which is so detested by the OFAH may actually be the best way to maximize social and economic benefits from the natural resources as the locals who depend on the resource are likely in the best position to manage it. The 2005 hunting and fishing regulations clearly demonstrate that the "N.I.M.B.Y. syndrome" has led to varying seasons, allowable methods of harvest, and restricted locations for harvest. It is doubtful that such diversity of regulation regarding wildlife management would be possible if the "N.I.M.B.Y. syndrome" were not accepted as a valuable tool to properly manage natural resources. Is the OFAH suggesting that Ontario should have 1 common regulation across the province for each species and completely disregard local input for managing their natural resources? We should have different regulations for different areas of Ontario as the province is truly diverse. It is only with controversy and full examinations of a broad array of wildlife management techniques that we will find the ones that maximize social and economic benefits to the citizens living in the regions. Regarding your P.S. statement and defining predominantly, I would like to thank you for correcting this obvious error. I requested many times that the MNR simply state that moose in WMU 30 & 31, which are more than 50% white, may not be hunted. This approach to legislation (using a percentage) has proven successful in multiple jurisdictions and is much easier for the average hunter to comprehend. If uncertainty is the basis for your inaction, might I suggest to err on the side of caution. If the white moose are protected and their numbers in the Foleyet area sky-rocket to a point where they become a nuisance, they may be harvested and their population may be brought down to manageable levels. Erring on the side of inaction may lead to the disappearance of the strain forever. A 3rd generation tourist outfitter entirely financially dependent on providing superior fishing and hunting vacations. P.S. I wouldn't be so dependent on "science" to guide our natural resource use. Our scientists have been wrong before and will be proven wrong again in the future. Remember to install asbestos and lead pipes in your new home. The cut block is approximately 3 miles North-East of Oswald lake ... which is approximately 15 miles North East of my home. 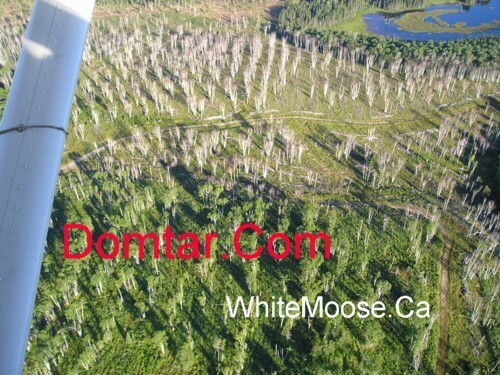 I confirmed for my own eyes this summer that the cause of the dead birch trees was the herbicides. Last fall, I flew over my favorite bear hunting area to find a helicopter spraying herbicides on the berry patch. This summer, the spray lines were clearly visible with live trees marking the border of the spray. 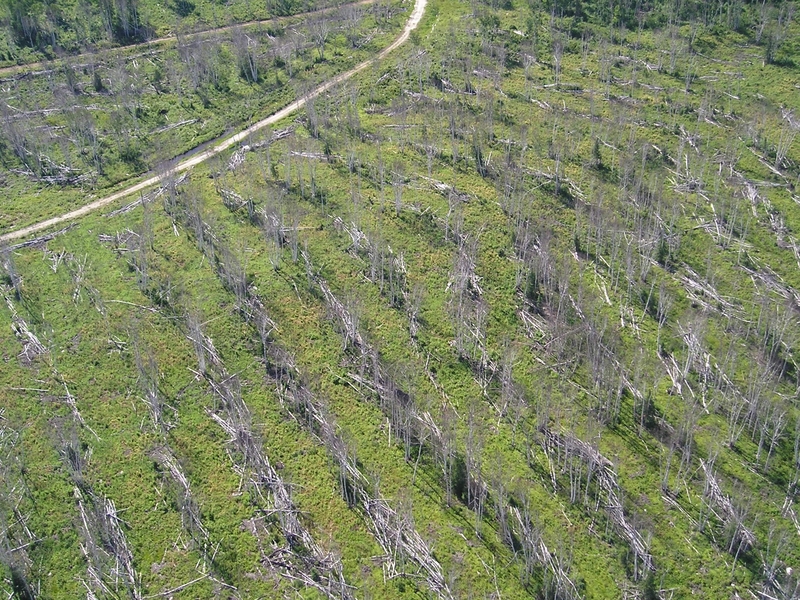 Multi-national forestry companies are hi-grading the forest and destroying future employment opportunities in the region due to wasteful harvest techniques. When will they stop leaving full grown poplar, birch, cedar, and pine in the bush to rot? If the multi-national forestry company knows that the remaining "MERCHANTABLE" trees will be killed when herbicides are applied, why leave them standing? Watch the forestry section of the website this fall. I'm currently researching software to quickly modify multiple images and expect to have several thousand photos of wasteful cutting up on the net by December.